Cherry City Kitties : Not too much going on round here... MOM! That is a very wonderful and exciting project! Glad to know you are all okay! It sounds like your Mommie is working on a very important and special project. Be nice to her! That's very nice of your Momma to help out the UN-Cats! We hope Harry doesn't run out of stinky goodness! That's a truly wonderful thing your momma is doing. 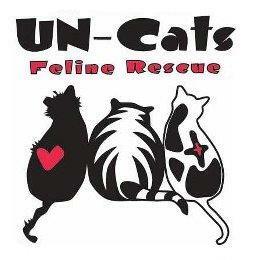 We hope the UN-Cats are very successful in finding forever homes for the kitties. How great that your mom is helping UN-Cats! Your Mom is THE BEST!! She cares about alllllllllll the kitties in the world! That is awesome that your human is working on a website for the rescue! My human does websites a little (using Wordpress as a CMS), and she knows that sort of thing is time-consuming and not easy! Your mom is pawsome! But I bet you knows that already! Me is sure yous does gets attentions. If not, give me a call and me will come through the tunnel and cuddles with yous. doods...thiz bee trooly grate yur mom N dad iz helpin spread de werd bout de kitties....heerez hopin they all finds forever homes and if it meens ya gotta bee away for awhilez just rememburr its for a total lee werthy cause...hope ewe haza grate week oh end ! Oh, so sweet of your mommy to help other kitties find homes by putting information on the computer! That is how my mommy found me. On a website. So we understand. We approve. And we know you approve, really. But whining can be fun, huh. Guilt. Guilt. Guilt. Tee hee. That is great that your mom is helping the UN-Cats. Let us know how we can help. Plus you can always share stuff at our Facebook Cat Wisdom 101 page. 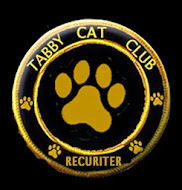 We love hearing about people helping other people to help kitties. How wonderful that your human is helping with a website. You have a wonderful Holiday Season and we will see you when your human has more time!! Purrs from the Zee and Zoey gang! There's no green nowhere, no way, no how and we don't like it either. Wait a minute, there's the tree.. It's great your mom is helping UN-Cats! That is soooo cool what your momma's doing!! Now, now, Tipp - I am sure my dear Harry is NOT a pain, just firmly persuasive! A big thank you to you all for my beautiful BLOG of the YEAR star - Mummy says she will help me put it on my blog very soon. Congratulations to your Momma for all her hard work for UN Cats. Thank you my dear Rainbow... I will use that phrase next time the Daddy is a bit slow in meeting my needs. I miss you much as the holidays approach. I hope all is well with you and your Mum. It is wonderful what your Mom is doing for the other kitties! We pray everybody get a furr-ever home for the holidays. :) It's been kinda not December like her in Dallas--but winter enough all the leaves are gone. I am waiting green back too!